As a former cellist, I know when I’m listening to music composed by someone who understands the instrument. Esa-Pekka Salonen understands cello. The Ann Arbor Philharmonia Orchestra’s performance of Salonen’s Cello Concerto Tuesday night was marvelous. I knew that it must be a fine piece of music after learning that it was partially commissioned by the Chicago Symphony Orchestra and premiered by Yo-Yo Ma, but this was more than I could have ever expected. The piece was riveting, keeping me at the edge of my seat for at least half of the concerto. My view of Truls Mork, the featured cellist, was obstructed by several heads but I craned my head to keep eyes on him and his dark wood cello the whole time. In Salonen’s program remarks on his composition he mentions the desire to push the cellist to their physical and mental limits while performing this piece. I think that it did more. By the end of the third movement, I felt like I had been reading a complex article for class or doing mental gymnastics. 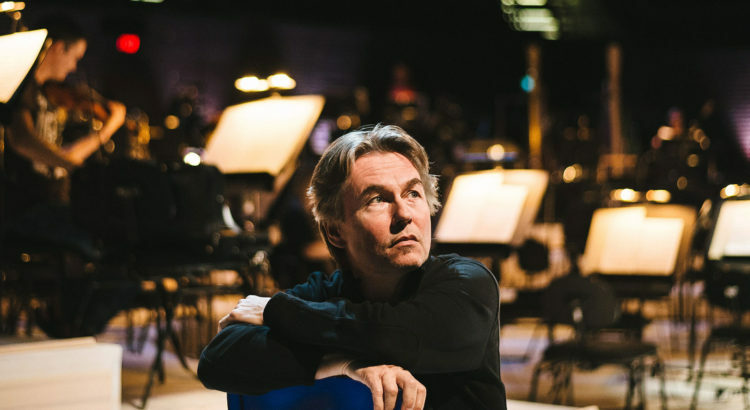 Salonen’s concerto truly pushed music to its boundaries. The program notes describe the first two movements well. Salonen describes the first movement as an amorphous cloud up in space and it truly felt that way. I struggled to get into this movement as it did not carry an easily followable melody, which I tend to prefer in music. However, the second movement took my breath away. He described this movement as a majestic meteor making its way through space and that is exactly what I saw in my mind’s eye. The piece utilized such a variety of textures and special effects. Mork strummed, plucked, and bowed his way through double stops and harmonics. At one point I became confused, knowing that I heard music being played by the solo cello but his actions not aligning with the music I heard. It later became obvious that the performance utilized a recording device on the solo cello and looped certain sound effects and melodies throughout different parts of the concerto. When the piece ended I found myself motionless and there may have even been a few tears in my eyes. I saw several people in the audience ahead of me get up and leave the auditorium and, honestly, I couldn’t blame them. I could understand going to a performance just to hear that piece performed live. Luckily the orchestra took quite some time to rearrange during the intermission, giving me time to process the concerto. When Stravinsky’s Firebird finally began, I found myself a bit underwhelmed. Stravinsky was known for being a revolutionary of his time. When Rite of Spring premiered there were riots in the streets. However, compared to Salonen’s modern day masterpiece, it felt tame and classical. Firebird was a the perfect way to come down from the exhilaration of the cello concerto and allowed me to digest it to a deeper extent while enjoying the music of another time. Picture courtesy of LA Phil website.